Excellent stay, helpful staff, good pitches, great activities. Thoroughly enjoyed the weather, the wonderful large pitches, the facilities, the friendliness and helpfulness of all the staff. The best camp site we have ever stayed on in the forty six years we have been camping and caravaning. Look forward to returning next year. As usual friendly, clean, plenty of hot water and spacious pitches. A wonderful pool complex. Wonderful, friendly, atmospheric campsite. Very clean , great restaurant and lovely pool area. Lots of things to do for kids and adults alike. We have stayed at Garengeoire several times in the past, and like the site and surrounding area very much. Hopefully you can ensure this does not happen again in future years, or you might find that it will put people off from visiting your site. What we like - the location, the size of the pitches, the facilities, the availability of free wifi but, above all else, the friendliness of the staff. What we don't like - nothing! Like my precious visits the Garangeiore the welcome is warm, friendly and relaxed. This continues through the entire time giving the most enjoyable holiday experience. Super friendly staff, well cared for site, swimming pool always clean, wash blocks always spotless. On our first visit to the site we were impressed by the staff who were enthusiastic and professional. The amenities on the site were always clean. The Aqua fit instructor was exceptional in her attitude and delivery of instruction. Overall I feel that La Garangeoire is the best site we have stayed at, and we will continue to visit. Thank you for wonderful holiday during September. we had a very relaxing stay. Another wonderful stay at la Garangeoire. The facilities are superb, the location beautiful and the staff so friendly and helpful. The ethos and atmosphere blend the needs of the campers whilst maintaining the natural elements of the location. Congratulations to Anne, Eric and their loyal team. Generally we have a good opinion of this site and would be very happy to revisit. It was an excellent site, very cheerful and helpful staff. Lovely atmosphere. I really enjoyed the aqua fit sessions and the French conversation sessions. Very friendly staff, excellent pitches, larger than any I have experienced anywhere. Toilet/shower facilities are first rate. The superb weather during the period of the rally helped towards the enjoyment of our stay. The personal involvement of the site owners during our stay is a unique pleasure. A wonderful site with a great reception team and every other worker I encountered were both pleasant and polite. Superb site,especially talk by owner on Vendee history, excellent. Ann and Eric are wonderful ambassadors as are their staff. As usual a relaxing holiday whether you stay on site or venture afield. Plenty to do around the site. Highly recommend aqua gym! Very rude staff showing lack of interest in their job or interacting with customers. We had a fantastic stay, the campsite far exceeded our expectations. We will definitely be back! A lovely site in beautiful surroundings, we'll definitely be back. Simply the best campsite we have stayed at for welcome, care and attention to making sure we had a great holiday. Beautiful campsite, very clean, lots to do. Reception staff excellent, faustine in particular as she gave us a lot of recommendations of things to do and see. Great place to stay, really good location and nice, friendly staff. Swimming pools are excellent (although I suspect they are very busy in the summer) and good facilities for children. Overall probably the best campsite we have stayed at in France. We have stayed there four times and every time we have found the bar staff to be exceptionally friendly and efficient. The large travellor/camper van contingent keep the site very lively towards the end of the season which is very welcome. The resaurant is very good indeed. A really welcoming campsite. All the facilities were top notch. Sometimes our pitch was very shaded, may be some of the bigger trees need cutting back a bit to give patches of sun and shade? Had a brilliant stay at the site as well as the camping and caravan club. Fantastic stay. We really enjoyed it and will be back! A superb site and plenty to do. Plenty of nearby mountain bike tracks. The road approaching the campsite can be quite busy. So not advisable to cycle for long distances on it. Spending our holiday with you and knowing the standards we will enjoy feels like coming home and we immediately felt relaxed, cared for and safe. ( had come from a site where lack of security was an issue, so we couldn't wait to get to Garangoire). first time with euro camp .absolutely loved . More friendly than bigger campsite chains. relaxed and with adult staff rather than transient younger workers. It is the ideal site for families with children, not so much for us, but it was fine, it is not a criticism. We were extremely happy with the quality of the accommodation and the services, facilities and very friendly and efficient staff at the campsite. We stayed for a week and barely needed to leave the site - which is not normal for us! Very clean campsite, reception staff very helpful. Takeaway has good food and fairly priced. Evening entertainment a bit hit and miss. We love the site,so much so we have already booked for next year! An enjoyable and relaxing campsite for grown ups needing a break. Safe for children on their hired bicycles. Plenty of activities to keep them entertained for a week. Not so sure about two weeks though. The friendliest staff more than happy to help out any way they can, camp was clean. Very enjoyable stay indeed. Nice site and we enjoyed our stay, we felt statements made about local cycling facilities were greatly exaggerated . Although we no longer have young children the site caters for them admirably making it ideal for young families.We greatly enjoyed the restaurant and entertainment. Our 3rd stay at La Garangeoire. Enjoyable. Nice place for families. Opportunities for activities or relaxing. Beautiful, clean, well cared for surroundings, very happy and enthusiastic staff. Another brilliant year here, loved by all of us. When the husband became ill and hospitalised the staff couldn't have been more caring and attentive; so very warm and friendly. Thank you! Had a lovely time, the sunny weather helped. Crepe night was great. Restaurant food lovely. Shame the bouncy castle wasn't kept up for later. On site shop quite expensive. Great campsite for kids, lots to do. The pool was very cold considering it was heated. Our favourite campsite for the summer. We are looking forward to visiting again next year. The team is always welcoming and friendly and nothing is too much effort. We love it. It's like coming home. Meeting people from previous years who become friends. Also having owners who are very hands on around the site is nice especially when they remember you from previous years with all the people they must see. It was OK. Pools were good but small, photos suggested they would be much larger. table tennis was good. Reps were all very helpful and pleasant. Kitchens were adequately appointed but no pan lids!! This was a homecoming in terms of holiday destination, as I came as a little boy 30 years ago and now returning with my family. It is as I remembered and a fantastic destination for any young family. I shall be booking to coming again soon. Thank you for making our stay special! Great location for a main holiday or stop over before heading further South. Friendly approachable caring staff, site not too big and well cared for. Very relaxing and a great place for the children. We had an amazing break. Lovely stay, staff very helpful and friendly, very quiet after the evenings activities concluded. A lovely site and such friendly staff. Great services with some great activities. Good options on the evening entertainment. A lovely few days in an excellent campsite. We had a terrific time again. We are keen to return if it will suit our family's needs next year. This was our fourth year and it didn’t disappoint. The campsite is amazing and offers families a fun holiday with so much to do. Another great stay. Thank you to all at La Garangeoire for a lovely holiday..!! Very good campsite. So many varied options, activities,clubs,shows for people of all ages. Most things are free but the activities you do pay for are very reasonably priced. Our stay with 3 young children was made much more relaxing by the family centred site, with things for all ages to entertain them all. It felt secure around the poolside and lagoon so we were able to relax. We had a fab family holiday (again) - the campsite is excellent and hopefully we can return again next year - each year feels like we are holidaying with good friends. Fantastic for families. Good value for money, best campsite we have ever visited! Excellent holiday. Staff all helpful. Very personal service. Lovely site, lots for kids to do all day & evening. Close to major beaches & places to go in the region. Unfortunately stressful and exhausting. Cramped accommodation with a squeaky bed led to sleepless nights. There wasn't really space for the high chair at the table so we had to eat outside (in the rain!). The space wasn't practical for a family with 3 young children. Staff were very helpful, polite and have excellent advice on which activities would best suit our young family. A very nice site with lots of activities. We love staying with you and have already applied to stay for our 4 th year. Another excellent stay at La Garangeoire. We love the ethos of the campsite - family friendly, welcoming and tons of activities for kids and adults alike. This was our second year at the campsite and I’m sure we’ll be back again! Amazing, beautiful....perfect location! Very helpful and extremely happy children! Would return! We love your site and will be back next year. A superb campsite - great pitches, excellent facilities and friendly staff. We had a wonderful stay and can't wait to return! Well organised campsite. Big attention to families. I like the eco aspect of it. Perhaps give people soaps, small quantities of washing up liquid, sponge and a tea towel in a chalet to start off as we had to buy everything from the scratch. This was our 1st visit to France. We had only heard excellent reviews of the site but felt that it wasn't quite as good as the reviews sounded. The pool area is too small for the sheer number of people on the site. The lagoon was fabulous and all staff were helpful/friendly. We were there to spend time with family. The location was important for the young children and it worked for them. This site is one of the nicest we have stayed on. Hopefully we will be back for our 3rd visit next year. We love it! Our children love it! We are looking forward to coming back next year. Great campsite, very large pitches, baby baths were a massive bonus, reception staff very helpful as were the shop/bike staff, a very lovely campsite! Fantastic site and we will be back. We are going to try a different area next year but we will be back. It was a nice clean campsite with friendly staff. A little larger than we would normally stay in. The pool was crowded at times and annoying that people put towels on sun loungers when not using them for long periods. The place had a lovely safe feeling and loads to do. Great campsite - family atmosphere. We loved it, everything was perfect. Really impressed. An excellent campsite with great activities and facilities. It's a lovely place to spend a couple of weeks. We had a wonderful stay at La Garangeoire and really appreciated that the entire site is very children-friendly. We love coming back to the Garangeoire, the whole family love the site and the area. The site is so relaxed and the pitches are a great size. We are hoping to return next year! we all enjoyed our stay , great kids club staff who really engaged with the children. Friendly bar staff . The lifeguard at the pool wasn’t up to previous years expectations, occasionally no lifeguards at all at the busiest times and occasionally the lifeguard was more interested in unoccupied beds and taking photos of these and timing how long they were left! Resulting of the removal of the towels and people’s belongings.As I understand the problem of loungers being left for lunchtime etc but not to the safety of the people in the pool being left u. Supervised. Absolutely amazing week at La Garangeoire. Fabulous site and the kids (aged 13, 11, 9) had a brilliant week. Huge range of activities, the Lagoon is fabulous, evening entertainment in the Garden Bar is great for all ages and the fact it’s outside means younger kids can play in the huge garden. Tabletennis and pool across the way for our boys who didn’t want to sit with the grownups!! All in all a truly fantastic week. We will definitely be back. Fabulous activites, friendly staff and safe site. Best we’ve ever stayed at and can’t wait to come back. Great campsite. Utopia for children in safe environment with plenty of activities. Fantastic! Loved the night warden, made sure of safety and quiet time. Toilets and showers were always clean. Lifeguards were watchful but not over the top. Very nice time away but the swimming pool need some maintenance work on it . It’s starting to look old . Great staff, very clean well run, lots of activities. Amazing holiday amazing campsite absolutely love it there ! Booked for next year ! Sixth year running ! Fantastic pitch. Enjoyable stay and will definitely visit again. Football coaching was fantastic and a big hit with our children. We had a lovely time on site. Thank you all. Fantastic holidays at a 1st class site. From start to finish, we couldn’t fault our stay. Lovely setting, friendly site, nice to have entertainment separate from accommodation, good range of activities. A fantastic holiday, great facilities and friendly team. Looking to return next year! We had a great holiday and the campsite was well run and especially clean. Thank very much for a grand holiday. Fantastic campsite Eric and Anne and team all work very hard to make your stay great. We thoroughly enjoyed our stay, particularly the lagoon area, slides, orienteering and quality of the takeaway food. The kids club, reception and ponies are exceptionally well run. Very good, very relaxing, enjoyed the fishing lots!! A great safe secure site for my kids to be in, they were off out and about all day and I wasn't worried about them, this is the 6th year we've been and we've already booked for 2019. Disappointing that after three years we don’t feel like coming back. Lovely site. A few things in the tent broken on arrival but Eurocamp reps sorted out things very well. Beds in the safari tent were very uncomfortable. Bed cover had many stains on it.Tent space and plot space excellent. Generally things went quiet at 10.30 which was very good. Liked the hire of the canoe/pedaloes for the petang and the horse riding tuition was very good for my daughter. Beach nearby was great. An excellen holiday on this superb campsite which is maintained to an extremely high standard by friendly, efficient staff. A beautiful, leafy site with great sized pitches. Excellent facilities and activities. Couldn't recommend more. This is a lovely campsite and the team work very hard to ensure everyone has a pleasant stay. La Garangeoire exceeded our expectations. The staff were friendly, welcoming and quick to help. We stayed two weeks and barely ventured beyond the campsite because there was so much to do onsite and it was so relaxing. The staff at the kids club and soccer club were amazing with the kids. We'll be back. Fabulous holiday yet again at a wonderful campsite. We will hopefully be back again next year. A second stay at Garangeoire for us and we were impressed again with the high standards. Highlights for us are the activities for children, especially the football club, scuba diving and night swim. Lovely, the bar and reception staff were particularly helpful and friendly. Relaxed, loads to do, family friendly beautiful campsite. Great camp site, clean with good entertainment. Fantastic site we have now been to 7 times and plan to return to again next year! Great family campsite. Clean and tidy. Lovely setting. All staff very helpful. Overall, excellent stay. Would love to keep coming back, but it is noticeably more expensive than other sites in the same area. Excellent campsite and facilities. All staff are to be congratulated on their hard work. I particularly thank Carole for finding a garage to repair my car. It was late in the day and it would have been easy to say "come back tomorrow" but she tried hard to find me a garage right away. She made more than one telephone call, made me an appointment, explained the problem to the garage and wrote down the problem in French so I could take it with me. This meant that I was able to get the car repaired the very next morning which was most appreciated. Fantastic holiday, lots of activities and space, fantastic site. We has not visited the site for 5 years and it felt like going home! We received a warm welcome and it was lovely to see the developments and improvements made to the site over the years - this (in our opinion) is the best Castels site in France. We had a wonderful time and took part in a lot of activities onsite during our stay. We look forward to returning next year. Good atmosphere, pool a little small and water a little cool. He site was great as always. We loved it. We have already booked again for next summer. A very family friendly, clean well equipped site. Providing lots of wonderful activities for all. We really really enjoyed our stay with you. Great staff. We had a great time. Can't wait to come back. We had a great family holiday on your site. So many activities we were never stuck for something to do. Everything we could hope for, afraid to try anywhere else after 4 fantastic holidays at la garangeoire. Friendly, helpful staff, immaculate amenities, abundance of activities and entertainment, little personal touches that mean so much, birthday wishes!! This is an amazing campsite with so many facilities and activities. It exceeded our expectations. We thought it was a fabulous campsite and will be back. Next time we will probably bring our own tent. We had a very enjoyable stay. Always seems safe environment for the children. We had a wonderful time and we all set for next year. Thank you so much. Amazing - best campsite I have ever stayed at by far! Very much enjoyed our stay, I had returned with my young family having holidayed at the site 20years previously as a teenager. The family feel was fantastic for my 2 sons. Fantastic holiday as always. Looking forward to next year already. Staff and campsite are fantastic. It was a fantastic, well-organised site, and our 2 boys (6 and 8) LOVED the water slides more than anything. They also loved the minigolf and table tennis. I would have liked to have heard a bit more French around me, but clearly you have developed a great reputation with English families, as it seemed to be 98% English! Our stay was fantastic and we would not hesitate to return in the future. Wonderful. Would have been perfect if it were a few degrees warmer. We had a fab stay overall and loved your campsite and all the activities available. Wonderful site, good investments made, feeling of quality and natural enjoyment in activities and nature. The bar, entertainment and food all had a feeling of class and superior quality which was a nice change from other sites. The range of activities meant that we could imagine staying for longer and having a range of relaxing and fun family experiences. Great Site, great staff with lots to do for children. Really lovely campsite, with so much space, not just for each individual pitch, but for open areas for children to play etc. We took advantage of a number of the activities / facilities (including soccer camps and archery), with one of the highlights being Anne's Garangeoire Discovery walk in French (with just myself and my wife!). A wonderful campsite with great range of activities and super helpful and friendly staff. As always our stay was fantastic. The staff are ultra friendly and it is great to see the owners around the campsite being 'hands on'. One of my personal 'issues' is people reserving sunbeds and it was great to see Eric monitoring and removing towels of people who were not present. Please if this could be done more! We have tried and tested other sites around France on our travels and none can match La Garangeoire. We will definaltely return! Lovely place for a relaxing family holiday. Well looked after site and staff and very helpfull. A wonderful experience. My children loved it and want to return next year. Wonderful stay as always. This was our fifth time st the site however our children are now getting too old to benefit from the children’s activities which all seem to be aimed at younger children. Wonderful campsite and lovely staff - looking forward to returning next year! Once again we had a very warm welcome from ALL the staff and are already planning our stay for next year. The Garangeoire is outstanding in terms of the entire package, it has the 5 star feel all round. The setting the facilities and the lake all in one place. The lagoon to satisfy kids who want a sandy beach and a swim. You have really thought of everything. A mini skate park would be a really good addition. Lovely campsite, would not return due to standard of accommodation which (compared to other holidays) was extremely overpriced for the chalet on offer. Best campsite we have stayed at yet. So much activities for children. Will be back next year. We love coming to La Garangoire and this was a third year! We are going to return next year. A lovely stay - as ever! Fantastic campsite with a very friendly, helpful, polite and supportive team of staff. This is why we, and our family, keep coming back every year. Thank you to all at the Garangeoire. Lovely campsite, great staff, we had a lovely stay. We had the most wonderful stay, probably one of the best in 31 years! We thought that the night watchmen/women were very good. It was great to have the shop open all day on Public Holidays and Sundays. Beautiful and tranquil setting with so much to do. As usual a great fortnight. Staff very helpful. With family this year and the grandsons had a great time with the various activities. Fantastic site - great range of activities and entertainments. Overall we enjoyed our stay. This was our 9th year of visiting, we feel we have been loyal customers and generally do enjoy our time on your fantastic csmpsite, but there are a few people - who have been going for year and years who think they have a right to interfer. Our 3rd visit and another fabulous holiday. The kids love coming back each year and they look forward to meeting up with their friends. This means a relaxing holiday for Mum and Dad! it was excellent again. we have now been three times and we are always happy. The campsite is our favourite way to spend our family holidays this years extreme heat was a challenge but are stay was good as usual. Friendly site with plenty of activities and plenty of staff on hand. Wonderful for families. We have been returning to your excellent campsite for over 21yrs through Keycamp/Eurocamp. Our children were 4yrs and 6yrs old when we first visited learning to ride their bikes and horse ride in a safe secure environment. Everyone has always been extremely caring and the site has expanded year on without losing the family feeling that it originally had. We remember Ann's grandad who used to go round the campsite every evening in his citron cv to make sure that all the campers were happy at this time we used to camp in a tent my Mr Gerrard. Even today it is great to see both Anne and Eric around the site mixing and talking to their customers making you feel at home. Loved the history walk by Anne and seeing the old photographs, shame you don't have any of the old swimming pool, we will always remember that and the wobbly metal slides it had. Nothing is ever too much bother for any of the staff who welcome you with a warm and friendly manner. The food in the take away and restaurant are excellent and good value for money. We are intrigued to find out what your plans are for next year with the bikes and cars routes as you mentioned, this will be changed next year but as we have already booked for next year we will know doubt find out. Thank you all for a making special holiday memories for us it was great to see some familiar faces such as Jean Luc, even if he now hides in the back of reception. Weather was great and we had a great time again. We found the mobile home to be clean and substantial benefiting greatly from the dishwasher. Our first time here and we absolutely loved the campsite. Staff were friendly, mobile home (Taos) was excellent, bar and entertainments were great. We had another fantastic holiday this year, helped along by some fantastic weather (maybe too hot!) Same consistent quality in terms of staff and cleanliness etc....we love La Garangeoire and will be back again next year! Great stay, lovely campsite, good pool and facilities. Good entertainment. Reasonable shop and takeaway service. Wine tasting was great fun. Kids loved it. It would be better if more services- e.g. football club (which is basically an extension of kids club) were not chargeable. The most wonderful campsite that is maintained and managed to an extremely high standard. We genuinely love this Site, Its a site that suits all the family and we feel very much at home here. The peace of mind that our kids can cycle to meet their friends and play in a secure environment is very important to us as parents. Excellent as always apart from the pool area which is need of expansion, it really isn’t big enough for the number of pitches. This is the biggest disappointment of the holiday. An amazing campsite that we love! We enjoyed our stay as a family, our girls loved the pool & our aspect home. Despite no real options for evening entertainment for the kids & the door issue, we enjoyed our stay. Fantastic holiday on a fantastic site! Would highly recommend. La Garangeoire offers a safe, happy environment for families to enjoy their holiday. The facilities are excellent and the staff are friendly and accommodating. Our stay was, as always, lovely. I like the site and all that it has to offer. Just some things do need attention, it's the finer details. Brilliant fun, so much to do. A wonderful site and an amazing holiday with you again. Excellent pitches. We had a premium pitch for a caravan. Excellent equipment The team cannot do enough for you. Incredibly friendly and helpful. Would recommend the 2 hour walking tour done by Ann who was very informative and funny, even allowing us to share time in her home. Brilliant. We cannot wait to return. We have stayed at the campsite for 8 years now and have always been impressed by the staff, facilities and attention to detail. We had a lovely stay and our boys enjoyed their new found independence as they felt safe going around the campsite on their own. We were very impressed with all the staff. Janine and Rona get a special mention for being very kind and good at their jobs. We’ve been going to the site for 10 years and love the site and it’s location. We’ve booked for next year and can’t wait to return. Our kids wouldn’t go anywhere else due to their friends and what is on offer for all ages. We had a fabulous stay with very helpful staff and brilliant campsite. Our third visit to La Garangeoire and already planning our fourth. We love the friendly atmosphere in the campsite from staff and other residents. The site is well maintained and well run. A gem of a campsite that is friendly and welcoming. Perfect for families to both relax and have fun, with so much to do and explore around the campsite and further afield. Great family campsite, lots to do which we all enjoyed, really good facilities overall. amazing site in every aspect. Staff everywhere you go are willing to help nothing is too much trouble. Great sized pitch. immaculate facilities Great entertainment for adults and children. Owners are always available and working non stop. Special mention must go to discovery walk; Anne's enthusiasm and passion for the site is contagious, loved it. Wonderful stay again, great holiday and already put our reservation in for next year. Excellent venue for our 4 and 6 year olds who loved the pool and the lake. The adults enjoyed wine tasting! Wonderful campsite reception staff brilliant especially Selma & Annastasie. We felt everything about the site had detiotated a small amount since last time we came 3 years ago. There was certainly a less enjoyable atmosphere. There was no music on in the bar area and the evening entertainment was very average. The site though itself is brilliant it’s just not as good as it used to be. A fantastic holiday, this is our third holiday at La Garangeoire and will most certainly not be our last! Overall very nice site, well run and friendly. I feel the pool is too small for the number of people on the site and it would be nice to have an additional pool for adults only as the main two pools became extremely crowded & noisy during the day. I think the pitches with the private sanitary services are great, however these are quite a lot more expensive and the fridge that is provided is too small. I think the premium pitches are probably better value for money allowing for the additional furniture etc that you get on them. I paid extra for the additional table & chairs and BBQ and then had to pay an extra 72 euros for a bigger fridge which i think should have been included as standard. We had a fabulous week - we loved the lagoon, our accommodation was amazingly clean and there was so much to do on site that we nearly left the campsite. Thank you! We were pleasantly surprised by the overall quality of the campsite and facilities and the management was excellent so thanks and praise to all the staff. There was a nice blend of adult and child activities on offer which we wouldn't normally take part in but it was really well done and very enjoyable. We came with friends and their two children who have been before and it exceeded our expectations as we wouldn't normally camp somewhere like this (we usually go wild camping ;-). Very popular site went just before English school holidays site was a lot quieter then. Another excellent holiday at La Garangeoire, quality environment and staff that are polite and care about the guests. It was a return visit and no doubt be back again. We returned this year because it was so good last year...the campsite remains as excellent as it was and we hope to return next year. Th campsite has lots of activities available. Our girls particularly liked the horse riding. Some of the pitches are quite restricted on space, but in the whole a lovely campsite. The site was so beautiful, clean, well managed with exceptional service from every team member on site. Loved our stay. We really enjoyed it and would come back. Your site is very special and has a wonderful atmosphere. There is a great range of activities and entertainment but it is relaxed and not rowdy. The area is beautiful and great for cycling which we enjoyed. A special thank you to Lucie and Julie who made my daughter very happy with their brilliant pony activities. Also, thank you to everyone involved in the scuba diving and to the archery instructor. We have met some lovely people and made some amazing memories. Thank you. Wonderful clean site all round and well organised. Plenty of room on sites with free use of pedalo and other amenities. Once again, our kids can't wait until we come back next year! Really liked the table tennis tournaments and the water polo. Fantastic campsite. Great activities for kids. Quiet! Great site and accommodation, very clean and safe. All the staff were excellent, friendly and helpful. My daughter really enjoyed the equestrian centre activities, especially the pony riding lessons. Lucie at the equestrian centre was fantastic and made the pony activities great fun for the children. More than adequate for families. We had a very enjoyable and memorable stay in the best campsite we have ever been too.We were accompanied this year with my daughter and sons families and they say it has been the best holiday for them ever with lots to do.Hope to see youse all next year. really awesome and good and i really liked it a lot it was a great family holiday thanks for the wonderful experience! Fantastic holiday (are second year here). Every single staff member was friendly, helpful and professional. We loved the evening entertainment and the food and the ice cream! Overall, an enjoyable stay. Plenty of activities for the children on site, especially for our eldest (8) and varied activities/ sights in the surrounding area. Children also enjoyed freedom to play outside and this was possible, as place felt safe. Lovely campsite, very friendly and helpful reception staff, lots to do on site. Lovely site, lots to do especially for families with younger children. Staff in the reception and bar were very helpful and friendly. Vey nice site; Canvas rep and site staff were great. I thoroughly enjoyed our stay. I don't have any negatives. Very busy pool area. Excellent food. Great facilities, clean and lots of them. Lovely shady pitch at first site. Lagoon a bit green. Great shady running route (yellow). Friendly guests. Staff excellent. Impressed with quietness at night (apart from concert night). An excellent holiday, we come back year after year as do many others. That says it all. We liked the choice of activities and facilities such as the walks and boat hire and vast choice of activities every day- there was always something to do. The campsite was clean with lots of fun activities to try. We really enjoyed the pool complex and slides. We could have been anywhere in Britain! We hadn't expected so many other British people. It was a nice site, but we prefer something that makes us feel we're away from home. The pitch (hippopotamus) was awful. Always in the shade due to the ground height and being surrounded by tall trees. It also offered no privacy should you want to sit outside. It is a lovely family friendly campsite also for couples. The staff were so nice and very happy in their jobs . The range of activities is top class there is something for everyone. The pool is spotless clean and there were always sun loungers available some had umbrellas which was really good if you have young children . The kids play areas were great, with kids clubs keeping the kids busy for a few hours a day . It is a very quiet and safe site with all residents been very respectful of the campsite rules ... this is our second time and we would definitely be returning. Thoroughly enjoyed another stay. Disappointed with the pitch size, but the quality of surroundings and equipment for children, and calm and friendly atmosphere meant we loved it and din't want to leave! Returning next year. La Garangeoire is a great, safe friendly and fun site, ideal for a holiday with a young family. We thought the sight was quiet and we had plenty of space for the children to play on. A great place to stay for 2 weeks. The site owner, management and team are all keen to provide a high quality experience, and we are always happy to return to La Garangeoire. Great year again and have already booked for 2019 so see you then, Reception bar great, Stephanie really nice and look afdter you well. We really notice nice planting this year, things have grown so please carry on, makes it so nice. The new arrangement at the take-away area is fantastic, well done and more of this everywhere. We love this campsite. We first stayed about 14 years ago before we had children and it is still as good and run as well. You have a fantastic hardworking team. Everything has been thought of and everyone is catered for. Fantastic! Lovely site with lots to do! Great holiday on a fantastic campsite, so much fun and memories made. Amazing stay again at Les Fragonettes gite. Best campsite in France!!! Amazing place. Kids were so happy and relaxed and free to enjoy themselves which made it so relaxing for us. Wonderful stay as always. Love it here. Wonderful campsite, lots of open areas and play areas for the children to explore, plenty of shade (which was important during the heatwave! ), great pools, good activities for children and adults, clean and well organised. Fabulous stay - relaxing, great facilities, lovely staff . Loved it and would highly recommend. Lovely site with nice big pitches. Overpriced Basic accomodation. If you want no sleep and to be bitten alive, stay here! Clean, comfortable, secure. Lots of activities for children, so very relaxing for parents. Very relaxing and great for young children. We always feel very welcome when we go to the Garangeoire, staff are always very friendly and the site is immaculate. Our children have been going with us for many years and they enjoy getting together with friends that they have met on previous trips. Wonderful. Relaxing and exhilarating in equal measure. Best Castel we’ve stayed at ever. The campsite is excellent. Plenty of facilities and entertainment but it’s also lovely and peaceful on the pitches which is just perfect. Really friendly staff. A superb campsite. We had a very enjoyable stay at the campsite and we are planning a return visit next year. A wonderful park with a village like feel. Excellent range and quality of activities. We had an excellent time again in La Garangeoire. We are a young family and com back year after year to this beautiful campsite. Hopefully we will see ye again next year. We had a very enjoyable stay, we used the kids and soccer club, and also partook in the campsite guided walk which was most enjoyable and informative. We really enjoyed our stay here. The resort was spotless, the staff were fantastic and very helpful. The takeaway food was really good quality and made our life very easy on the first day. The pools, while not very large, were well run, spotless and pretty civilised considering we were there in July. We attended 2 free evening events run by the resort - Acropole - a magic show, and the garden party - bouncy castles and dance entertainment for the children. Both events were amazing and my kids loved them. My kids are 9 and 10 and I hardly saw them those nights as they were having so much fun. There were a lot of free things included to entertain children/adults - eg, the canoeing and pedalos. The playground is very good. The close access to the Equestrian Centre made life very easy and our children spent a few hours there. We paid for some archery lessons and the most patient man in the world taught my children how to shoot. We stayed in a chalet/mobile home but any time we had to use any of the resort facilities, we found them to be spotless. A huge amount of effort has been put into offering as much entertainment on site as possible. They also had some organized bus trips for visitors without cars. I found this really thoughtful as I've been in that scenario once or twice. The visitors seemed to be predominantly Irish (like me), or English with Dutch and French visitors as well. The whole camp was very calm and safe and relaxed. Beautiful, friendly, spotlessly clean site, great fun had! Overall we had a lovely time, the walks around the campsite are great. The pitches are spacious and the atmosphere is relaxed. Very quiet at night which is important when camping. The kids loved the horse riding and the Zip Wiring nearby. Absolutely fantastic site with excellent facilities that are spotless! Would highly recommend! We had a brilliant holiday in La Garangeoire. The children enjoyed the various activities, especially the pony riding lessons with Lucie, and the crepe parties. The adult activities such as yoga were great too. The staff were incredibly helpful at all times. Certainly a campsite to return to. We had a fantastic family holiday and hope to return next year. Great campsite, this is our third visit and we will be back! Ideal for our kids aged 2, 6 & 7. Beautiful, secluded site. Well price takeaway and nice if limited facilities. Busy campsite with a variety of activities available .. small pool complex . Overall my time at la garangeoire is like a retreat to nature, back to basics. This is good for my soul. The break from the fast paced life in la garangoeoire replenishes my energy and fills me with joy. This has been my second stat of what I hope to be many. Loved it. Loved the safety for children. Fantastic as always, great place for your family. Kids will love it. This was our third time at L:a Garangeoire. We have stayed in Resedas each time. We love it. The campsite is spotlessly clean, all the staff and very friendly. It is just the right size for us. In particular we would like to say how fantastic Maartijn was in soccer camp. Joseph adored Reuben the last two years but loved Maartijn this year too. We stayed to watch soccer for some time each day. We noted how kind Maartijn was with the children and fun, playful, respectful but firm when needed. We really trusted him to take care of Joseph. Ieuan was also brilliant with the smaller kids, in particular minding them very carefully in the hot weather and again being firm but mannerly with the children. Please pass on our thanks to Maartijn in particular. 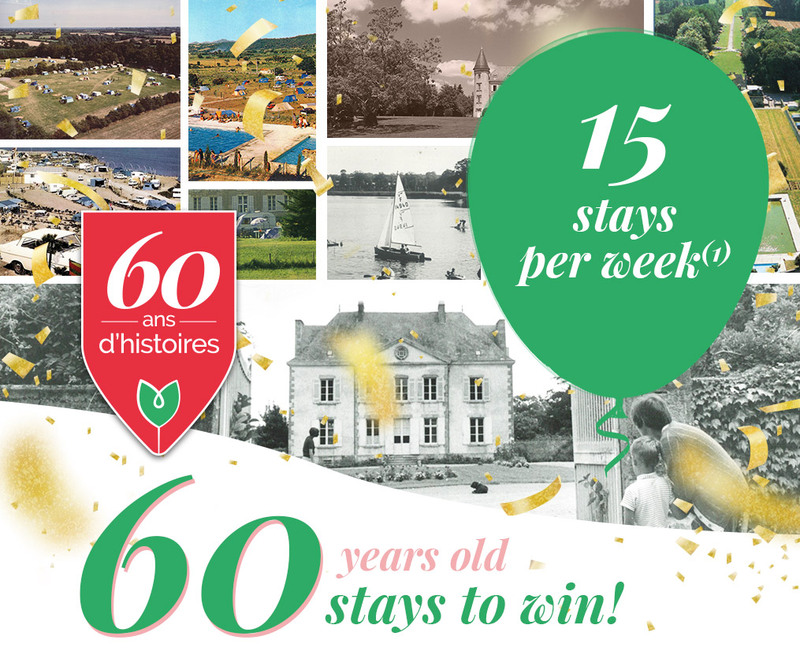 We have enjoyed our holidays at La Garangeoire for the last 6 years. We loved La Garangeoire. The pitch was amazing - large, plenty of shade, with good access to all facilities. The quietness during the day and evening was wonderful, it was so relaxing. My children loved the horse riding and went on a forest walk and a lesson, and would have done more if we stayed longer. It was a wonderful site and we will definitely be returning. Having transferred to a second Les Castels site, we were very disappointed with it, having been so impressed with La Garangeoire. For our first trip to France we were very impressed by the mobile home, camp facilities and activities. We had a super holiday the whole family enjoyed. This was our fourth visit, and we will be back again next year! There is no other campsite that can compare to La Garangeoire when it comes to facilities, space, location, professionalism, facilities, activities, ambience and a genuine welcome. You have created something very special at La Garangeoire. This was our 8th family holiday in La Garangeoire and once again we thoroughly enjoyed our stay. All standards in the campsite are extremely high each year we visit. The atmosphere is relaxed and friendly and we always feel that our children are safe as they explore the campsite and take part in activities. We thoroughly enjoyed Stephen's fitness classes this year and also the cheese and wine tasting in the small bar with Stephanie. Another wonderful stay at La Garangeoire, our children 4+7 had plenty to keep them busy and happy. When we drive through the gates of La Garangeoire we are instantly relaxed. We get a great welcome and know that our children will be safe and we will all enjoy our holiday. There are activities to keep both children and adults happy. There is nowhere that compares with La Garangeoire. We stayed 11 weeks and La Garangeoire is like our ‘second home’. We love the calm, beauty and environment. The ‘team’ who work everyday are always so friendly and efficient. We hope to be back again at the end of August 2018! La Garangeoire has a unique ambiance.. it’s a very special place. Many thanks to all the staff. A lovely homely campsite. I attended a brass band concert one evening on the grounds of the chateau which was absolutely magical and will remain a fond memory of our time in your campsite. The owners were vert attentive and a good presence throughout our stay which created a safe and welcoming environment. Relaxed holiday in a very scenic location and would love to return. Once again, we had a great stay in La Garangeoire. This must be the best campsite in France. Very enjoyable, lovely family friendly culture. Kids had a fantastic time making lots of new friends at all the activities. As parents we had our most relaxing holiday ever. Thank you to Eric, Anne and team for letting us share your lovely campsite. Lovely setting in countryside . Pity it was only one night and it was raining. Fantastic holiday experience in a small friendly campsite! Most excellent stay. Enjoyed every minute. Well run clean campsite. Shop is a bit small. Takeaway very busy. Lovely staff. A lovely stay with lots of fun activities to do. We had a really good time and really enjoyed our visit! Very organized community, both vivid and quiet, super clean, respectful service. Especially on the morning without a taxi coming to send us to the train station as approved and confirmed with the taxi driver, the staff on duty was extremely helpful to drive us quick to the station, with his supervisor’s permisssion and fully understanding. Bless your heart! Wonderful holiday; my teenages love the freedom and I do not have to worry about them. Sitting by the lake in the hot weather was bliss. Anne's tour which I did for the first time was fantastic and I have been boring everyone I meet with the hitory of the Vendee! Another fantastic year at La G !!! Had a fabulous time. The campsite is so well managed and so clean. The range of activities on offer is brilliant. We all had a great time. La Garangoire is an oasis of relaxation and fun for us - we love it. When we drive up the entrance with the view of the Chateau, we start to relax right away! I cannot imagine choosing another site. The most beautiful site, very relaxing with great variety of activities. Very friendly & helpful staff. Great security especially at nightime. The best campsite we have stayed at in France. excellent site, one of the best we have ever used. This time our trip was spoiled by a lot of noisy guests late at night but other than that our stay was flawless. We enjoyed our stay very much.We are a retired couple and appreciated the peaceful, relaxed atmosphere and the natural beauty of the site.We also enjoyed getting out and about, visiting the lovely beach at Bretignole. Superb campsite in every way. So many varied activities. So safe for children. Reception staff were outstanding. Loved it. Wonderfully relaxing. Friendly and welcoming staff. A great campsite for children too. Excellent. Very enjoyable, relaxing, family friendly and safe. The commitment of the owners and staff is very clear and reassuring. Lovely campsite with friendly and helpful staff. We love La Garangeoire and have made many friends there. It is an exceptional campsite that is very well run and maintained by a wonderful team. We had a great time. The kids loved it and made friends of different nationalities. The pitches are nice with the right level of shade. Cleanliness of the communal areas was OK, given the fairly large numbers of people on site. We had a fantastic time with you again. Everything ran very smoothly and there was a friendly atmosphere throughout. As always (sixth time on campsite) we thoroughly enjoyed our stay. Excellent facilities, food, service and welcome means we keep returning. This is our 3rd stay and as always it has been fabulous. It really does seem like everything has been perfected, so much consideration clearly goes in to the programme offering fun for all the family. We typically like to explore different holiday destinations but after traveling here it is very hard to look elsewhere! We had another fantastic stay on a beautiful site. Anne and family thank you! The wine tasting evening was fabulous!! This was a return trip for us, we love the campsite and will be returning again. Will return as it's a beautiful safe place to holiday with children. Staff were amazing overall. I had to leave early for a family emergency. I could not have faulted the staff and support I recieved from everyone. We love La Garangeoire. So many activities and a lovely atmosphere at the campsite. Great entertainment and the volume of returning customers says it all about this campsite. We will be back too. This is one of the best campsites that we have stayed on in 25 years of camping in France. Love this site staff are so nice and toilets are spotless. 5 year in a row says it all. Will probably be our last stay for a while as we've covered all we want to see in the area. Wonderful campsite. Looking forward to returning next year. Great site. Safe & secure and quiet time is enforced at night time. Central to lots of towns/activities so great for a restful holiday or an active one. Love your site & hope to be back again next year! Our first time and what a wonderful surprise. The high point was the parade of the local musicians and dancers and the concert afterwards. The best holiday we’ve had in ages. We have young children and the activities were perfect balance of fun and safety. We had a wonderful time at La Garangeoire, a beautiful campsite, excellently maintained and managed, with so many activities for children and adults, and so convenient to visit the sites of the Vendee. From the equestrian centre to the soccer school, and even a visiting circus, there really is something for everyone at La Garangeoire. Amazing Family Friendly and safe campsite that I’d thoroughly recommend! Despite some negative feedback in this survey, this was our 3rd year coming to La Garangeoire. Outside of the issues I’ve expressed we had a great holiday. Really enjoyable. The taos are very private and comfortable. Very relaxing and family friendly. Great staff. Very enjoyable holiday, would come back again and would recomend. Overall we had a good time. My son thoroughly enjoyed himself. We would consider this type of holiday again but this time I would have my eyes wide open to the downsides - see below. La Garangeoire offers so much to people as a holiday destination. The multiple on site activities and services do make it possible not to have to leave the site. You can see the pride that Eric, Anne & the team have in the park. I would highly recommend La Garangeoire to anybody. Superb site, well maintained, swimming pool superb, especially for young families. Activities for family good. Restaurant and Take Away food outlets excellent. If caravanning or tenting pitches are a good size. All round a first class site. Excellent staff, very helpful, very interesting talk by Anne on the history of La Grangeoire. Excellent stay. Lots to do and see in the locality. We have been to La Garengeoire many times and have always found it to be one of the best in France. Vive La Garengeoire!! Excellent service, leading site for kids entertainment; overall a fabulous holiday in a picture perfect setting. We had a fabulous holiday. The campsite was spotless and very well maintained throughout. We loved the pools, the canoeing and the archery. We particularly enjoyed the bar and garden area. It felt very safe for the kids and they went off to play every day themselves. Great activities every day all being of good standard.safe. had a 1 yr old and 3 yr old. I'm a grandparent helping family. Good we could bring our dogs along. As always, La Garangeoire continues to please us and we will of course return next year. My family and I adore La Garangeoire and the people who work here. Particularly Katia. She is an amazing lady who helped us to celebrate and remember our wedding anniversary in the restaurant perfectly. Excellent. A shame about the flip flops. 20 of us all stayed here and we all loved it. Our kids had an amazing time. I would recommend this camp to everyone! We had a lovely holiday and were pleasantly surprised with the size of our pitch and the facilities. We will return later in the year. The takeaway pizza was excellent. Beautiful campsite with great facilities. I wish to thank all the staff who helped and supported my wife and I during her illness. Wonderful friendly clean relaxing holiday , as always..
Good site, great facilities and staff encounters. Just felt a bit squashed in our pitch and close to / on top of others. Pool temperature also too cold some days. Overall a good experience though. We had a great time. We loved the size of the pitch. Would recommend and will try your other campsites. Staff were friendly and polite. As previously. We were recommended the site by friends who had returned for a second visit and we were not disappointed. We thoroughly enjoyed the stay and hope to book for next year and beyond. Very good value for money. Excellent staff & great location. Beautiful campsite, well run, friendly staff and great facilities. Excellent service, excellent pitch and ablution blocks, I cannot fault the site. It is a 5 star experience all-round. Another wonderful time, relaxing and enjoying our beautiful surroundings, in a friendly, happy atmosphere. Thank you all for making our stay so enjoyable, hope to see you all again very soon. Great site for young families, not so great for older couples without children. Again, it was lovely and relaxing. Weather was fab and the pitch was great. Once I drive through the gates I know i will have a great holiday. Love your campsite and intend to stay next year, your staff were superb! Having stayed with you before in a small tent, everything that we had expected was there for us, with a lot of additional improvements. Very satisfactory site. Excellent in all respects. Staff, facilities, pitch sizes, ground maintenance all first class. Our sixth or seventh visit and hopefully not our last! This was our first time to use the campsite and we were very sorry to leave after 2 weeks. We had a wonderful and relaxing stay. The children (aged 14, 13 and 10) had loads to do and want to return to this campsite next year. I have nothing to complain about. It was a great holiday. The campsite is impecible and clean and has everything that you would need. Josie, our rep from Al Fresco was brilliant. She helped with any query or request for advice and help that we had. We loved the pool area; the playground and football pitch were great; and the walks around the estate were lovely. We also loved La Grand Defi just down the road and visited twice during our stay. Lovely relaxing atmosphere - top quality facilities- friendly and helpful staff. Two very relaxed weeks with lots of reading, wine tasting, pétanque and very nice food. Fantastic site. We had cheese and wine at the small bar and Stephanie could not do enough for us it was a great experience. Love the campsite, and the kids had a great time again. Had a wonderful time at la grangers. Loved the horse riding with Lucy a lovely girl!!! The cheese and wine tasting in the bar with Stephanie was great!!! The pool was so safe and no big steel steps to the slides. La garderie was lovely great idea and room was bright and cosy. Lovely staff throughout the campsite especially at la garderie. Great discovery walk with Anne too. We had a lovely relaxing holiday our three girls had a ball and cried leaving to come home. Good for young and older families alike. We love La Garangeoire and will 100% be back! It is a safe and friendly campsite and I love seeing Eric and Anne keeping an eye. Caring and Friendly staff who would help in any way they could. Very efficient at replacing gas or any other issues with had with our mobile. Lovely campsite, very clean and tidy. Nice size, didn't feel too big, but still plenty to do. Staff really friendly. Vendee area lovely, especially beaches, which are close by. We really enjoyed ourselves, and hope to return soon. Very happy, especially with the attention from reception regarding my wifes issue will definitely be back. P S Great restraunt.. Fantastic stay for our second year there. Weather could have been better but that’s not the camp sites fault :o) and the activities onsite made up for this. Great site. Safe for kids. Lovely location, very relaxing although plenty to do for all age groups. Excellant friendly staff, would highly recommend. Restaurant and take-away were great value for money. Relaxing and carefree where our children could be themselves and flourish and we could unwind. Quality campsite offering great service and lots of activities. Always made welcome. Staff always friendly and helpful. A great holiday, nothing is too much for the staff. They always say hello with a smile. Go location, access to the site is very good would recommend your site to all my friends.to use one of the best sites in France Your staff are are always happy to help. Stay was wonderful, staff were friendly and the campsite secure and clean. Except for a small rodent issue I would definately stay again. Very good site, large pitch, lovely walks, pool lovely, restaurant and food great. Will definitely return when baby old enough for kids club. Yoga great and relaxing. Crazy golf good fun. A lovely and secure site with very friendly people. We last came with our family 30 years ago. It was an excellent site then and it is still an excellent site. An enjoyable stay despite very changeable weather. Staff very friendly and efficient. Accommodation excellent and spotlessly clean. Lovely, friendly site. wonderfully clean facilities, great pool.. everything is well thought out and works beautifully. Enjoyed every minute of the holiday. Great place, lots to do, clean site and friendly staff. We enjoyed going to the lagoon, pool, park was great, pedalo in the lake, hired bikes and cycled around the area, horse riding was a first for my daughter, great entertaining in the evening. Superb place. Wonderful campsite. Immaculately kept grounds. Staff always busy keeping the site clean and tidy. Huge plots. Plenty of onsite activities for everyone. lots to do for all ages even if weather not good enough for the pool. very clean & loads of open spaces. local staff with good knowledge & great that it is a family run & owned business with Anne & Eric around all the time. Wounderful campsite . Very clean and very friendly staff . This was a fantastic experience with great memories made, we would have no hesitation in booking again. Very welcoming staff, clean, attractive and well-maintained site, spacious and private pitches. Safe for children to be independant. Not too large. Excellent campsite, well organised and run with attention to detail and great service. An absolutely amazing place for a family holiday we loved it even though the weather wasn’t great. Will definitely come back! Just perfect place to stay. Will definitely return. Overall, for location, facilities and service, probably the best campsite we have stayed at. The Eurocamp reps who welcomed us when we arrived very late (after a difficult journey down) were fantastic and really went out of their way to help - thank you. We would certainly consider returning in the future. Very friendly staff all over the campsite in the shop, bar, restaurant etc. Very nice food in the restaurant. The children loved the staff in the kids club. Clean site. Great swimming pools. The refillable water is a great idea. Very enjoyable stay overall and would recommend it. First time with the site and very pleased, even when weather a little inclement there was plenty to do. Staff extremely friendly and, despite my poor attempts at French, everybody was able to understand everything we needed. Bar / restaurant staff all lovely - even when one of our children knocked over a a coke bottle! We love La Garangeoire and will be back next year!! The feedback is given only to help improve services and should be no reflection on the staff who are amazing. It is obvious the owners take pride in the site which is absolutely beautiful. This was our first stay and we found the campsite delightful. We stayed in a Safari tent and found both the tent and the overall pitch size to be very generous. The campsite was immaculate and every time I visited the toilets they were being cleaned. Staying with a 6 year old I was happy for the 10:30 noise curfew - after a busy day of activities it was good to get a good night's sleep at a reasonable hour without being kept awake by noisy neighbours. The pool was very good - we just would have like the weather to be a bit warmer to take full advantage of it! We also found both the teams - Eurocamp and the campsite's own staff to be very helpful and accommodating. fantastic time, lots to do. very friendly and helpful staff in all areas. Excellent family friendly site. Great amenities. Excellent campsite will be going back!!! Your site is excellent and we would definitely return, but not in summer as it is too expensive. I have stayed at La Garangeoire many times. I am always made to feel very welcome. The site is beautifully maintained and there appears to be a programme of planned improvements. La Garangeoire is a lovely campsite in a beautiful area of France. We thoroughly enjoyed our stay - the staff were welcoming, friendly and helpful, and the facilities and entertainment were all excellent. We will definitely be returning! We had a fantastic time despite the weather,staff were friendly and knowledgeable,we met a few people who visit regularly and we hope to be repeat visitors too! We really enjoyed our stay in la garangeoire. It was our second visit and we hope to visit again soon. There is a lovely atmosphere in the campsite and lots to do on site and in the surrounding area. Looking forward to going back! Reception staff were brilliant. Very friendly and helpful. Staff in the bar were the same. Overall customer service very good. The lagoon was very safe for our 2 year old daughter and very clean. We have visited many sites in France over many years and this counts as one of, if not the best. Site information given by Jean Paul at reception was excellent. Pleased to find all facilities available so early in the season.